It's not a given but Nissan is interested in getting the Qashqai +2 to India. It's a large crossover and like the X-Trail offers a mix of comfort and driveability along with a seven seat capacity that could appeal to the Indian consumer. However Nissan will not retain a very large portfolio in the SUV segment which means the X-Trail will go and the Qashqai will be positioned above it while the Terrano will make for the more affordable choice. 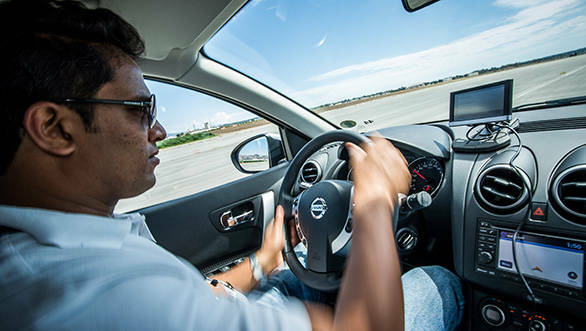 At the Nissan 360 event held in sunny and bright California recently, I got a chance to drive the Qashqai +2. My reaction to it was both hot and cold. I liked the powertrain, the space and comfort. However, I do feel the styling leaves a lot to be desired. Before I elaborate further on the Qashqai +2 though, a little history on what Nissan likes to term as a crossover utility vehicle. 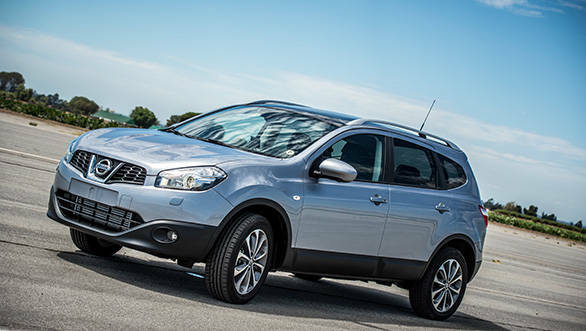 The Qashqai was first introduced in 2007 and it was an instant success in Europe. Designed at Nissan's design centre in London it was named after a semi-nomadic tribe living in southwestern Iran. The +2 was introduced 2 years later in 2009 and essentially it offered a longer wheelbase with the capacity to seat two more passengers. The Qashqai family was restyled in 2010 with significant changes to the front and rear ends. Some interior changes were also introduced. In my opinion however, the Qashqai isn't comparable to the latest crop of SUVs. The three year old refresh is just that - three years too old. There has been a remarkable change in design language and the current crop of SUVs will definitely leave the Qashqai in the shade. However we do know that Nissan is currently testing a newer version of the Qashqai in Europe and despite the heavy cladding it looks sleek and slim. The exteriors in the current trim are quite unappealing and the interiors too dated. The quality of materials used might have felt contemporary three years ago but things have changed dramatically. The next generation of the Qashqai however I do expect will have made several interior changes as well. But where comfort is concerned the Qashqai has to be one of the most comfortable SUVs in the world. The seats are incredibly well cushioned, the legroom between the first and second row is generous and there is ample shoulder room. The sloping roofline may be an issue for tall people in the middle row but given the average Indian is around 5'9" this should not pose any problems. The third row of seats which, can be folded fully flat into the floor, isn't ideal for full sized adults. You can adjust legroom by adjusting the middle row of seats. If it's a short commute then the third row can be used sparingly by adults otherwise its best to leave kids in the back over long distances. There are a lot of features on offer but then again what exactly Nissan will offer in the Indian market is anybody's guess at this moment. The crossover I drove had full satellite navigation, audio and telephone controls on the steering wheel, climate control and several other features. However, most of the controls don't feel too tactile and ergonomically could have been executed in a better manner. There is a lot of storage space that is easily accessible, be it the door pockets or the glove compartment or the centre console bin. Access to the third row is by folding down the 60:40 split middle row seats - a bit cumbersome if you ask me but then there isn't any other choice is there? 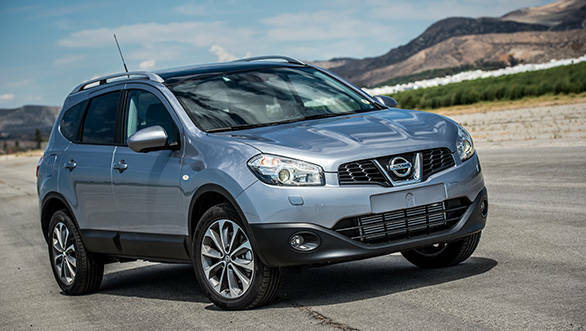 The Qashqai has a choice of petrol and diesel engines offered globally. For India however I do get the sense that the 1.5-litre K9K diesel which currently is being used in the Terrano might be used in the Qashqai as well. This will allow Nissan to offer the Qashqai as a CKD enhancing affordability. The Qashqai could also be offered with either a manual or automatic transmission. However, given the proliferation of automatic SUVs in the premium segment I expect the 6-speed automatic transmission will be the more popular choice. The engine I drove was the largest most powerful diesel in the range, the 2.0-litre common rail direct injection turbocharged diesel developed by Renault. It is incredibly smooth and refined and can very easily give most of the other European car makers a run for their money. Throttle responses aren't very quick though and this is not an engine that will delight you in performance terms. You feel the turbo lag and until the rev counter hits 1800-2000rpm there isn't much momentum generated. It's got a weak bottom end which means in urban traffic conditions you will invariably find yourself chugging along in lower gears. This 150PS, 320Nm delivering engine however is ideal for highway commutes. 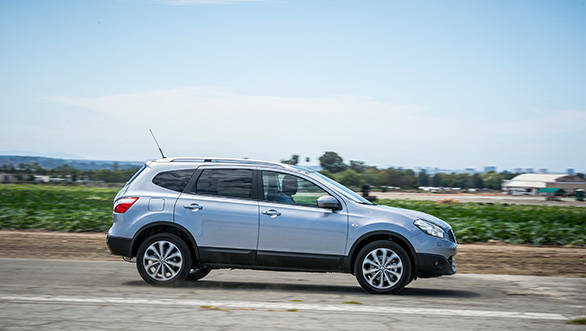 High on refinement and drivability it feels far more luxurious than the rest of this crossover. The 1.5-litre diesel on the other hand is a 106PS engine with 240Nm of torque. It might not sound as capable but with 240Nm of torque it should not have any issues with drivability in town, especially if this is clubbed with an automatic. The suspension is also quite well sorted out. 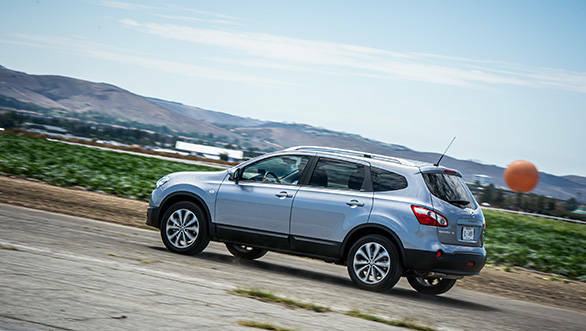 On the larger interstate highways surrounding the El Toro airfield, the Qashqai felt stable, well balanced and plush. There is a significant amount of body roll and its not an SUV you will push around corners as freely as you might the German SUVs for instance. Nonetheless its got sufficient dynamic abilities to make any long distance commute safe and secure. Despite the long wheelbase which is around 135mm longer than the standard Qashqai, the body is well controlled and you get an adequate sense of security. The electrically assisted steering is light but not excessively oversensitive and makes maneuvering the Qashqai in tighter urban spaces fairly simple. The high seating point and the wide glass areas also give you ample visibility. The Qashqai gets the same 4WD powertrain as in the Nissan X-Trail which means you get a fairly decent off-road package. It is not going to allow you to traverse challenging off-road conditions but will offer better stability on wet roads and mucky dirt roads. It also has a lock mode which acts like a 4H setting allowing you better traction in highly slippery and low traction conditions by splitting torque 50:50 between the front and rear wheels. This is something we have yet to test, though some years ago when we did put the X-Trail through its paces in some daunting off-road sections it looked impressive. 1) Nissan increases its brand and network presence across the country. 2) The design and styling is brought up to date to compete, against the Germans especially. The problem with the Qashqai +2 is that it will compete in a space that is very clearly dominated by Audi and BMW. Can a Nissan dislodge either of these Germans? To do that the product will have to be incredibly sound and appealing. That however is not the case, and the Qashqai +2 has a long way to go if it wants to be an alternative to the Germans. The only way Nissan can make the Qashqai +2 a viable option is if they assemble it here in India which will bring the price to more affordable and in non competing fields. Set against SUVs like the Fortuner and the next generation Endeavour expected here within the next 6 months (the Santa Fe may not be competition since Hyundai is still mulling whether they need to offer it here as sales have drastically dwindled over the last couple of years), the Qashqai +2 may be able to generate respectable numbers. Its most important feature - its seven seats!